The AACA Museum and Tucker Automobile Club of America have issued a press release concerning next Sunday's Pebble Beach Concours d'Elegance. This will likely be the first (and only) press release where I am mentioned with George Lucas and Francis Ford Coppola. Images of the 12 Tuckers appearing at the concours are below. Eleven Tucker Automobiles, The Tin Goose Tucker Prototype, and Tucker Test Chassis will all appear at the World Famous Pebble Beach Concours d’ Elegance® in California celebrating the 70th Anniversary of Tucker. Hershey, PA (August 16, 2018) This year marks the 70th Anniversary of Tucker automobiles and the first time in their history to be invited as a featured class to the world-renowned Pebble Beach Concours d’Elegance®. 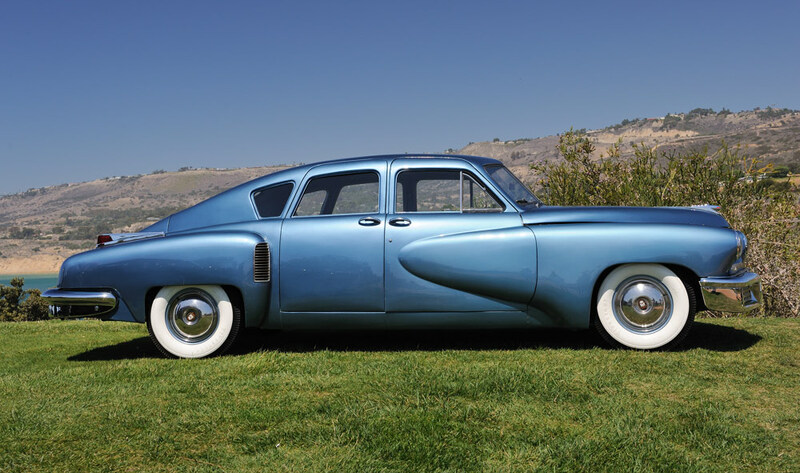 This will be the largest public gathering of Tucker Automobiles since the sale of the Tucker Company assets in 1950 and the largest overall gathering of Tucker automobiles since the filming of the movie in the late 1980s. 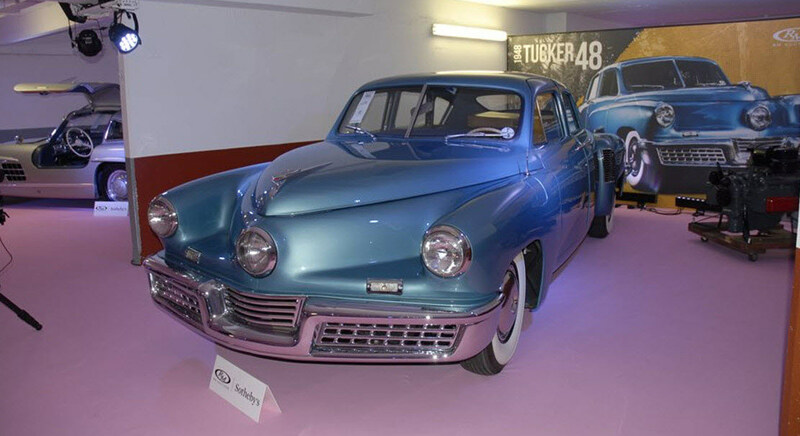 In addition to the automobiles, there will be a large gathering of Tucker family members, more than 25 in all, from across the country expected to attend the celebration of this 70th Anniversary year. 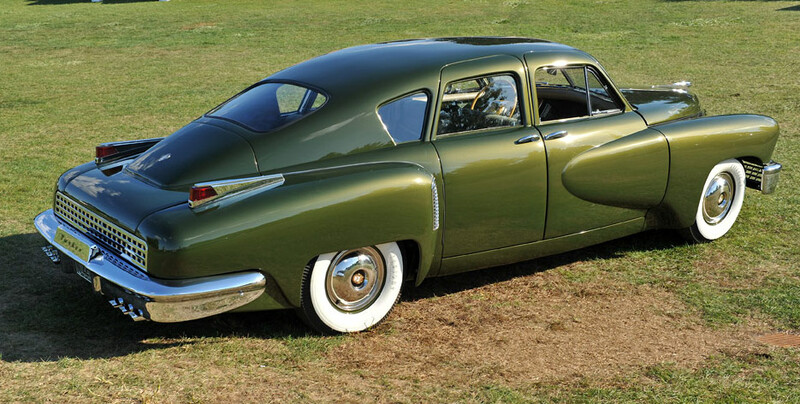 In the mid-1940s, Preston Tucker and his Chicago-based Tucker Corporation set out to revolutionize the automobile industry, designing and building 51 examples of an innovative rear-engine sedan that boasted an array of safety features unmatched by other offerings on the post-war American market. Amid negative publicity from the news media and an investigation by the U.S. Securities and Exchange Commission, the company ceased operations in 1949. The heavily publicized fraud trial led to a full acquittal, but not before the collapse of Tucker’s company. This is story detailed in Francis Ford Coppola’s 1988 film, “Tucker, The Man and His Dream” which has helped to bolster public awareness and intense fascination with this automobile. The Pebble Beach Concours d’Elegance® is not a contest of speed, but of elegance. The automobiles are judged for their style and technical merit, as well as their history, originality and the accuracy of their preservation or restoration. Beginning in 1950, the Pebble Beach Concours d’Elegance® is the top-ranking collector car competition in the world. It is guided by and often drives the interest of enthusiasts across the globe and continues to set the bar for all other concours. 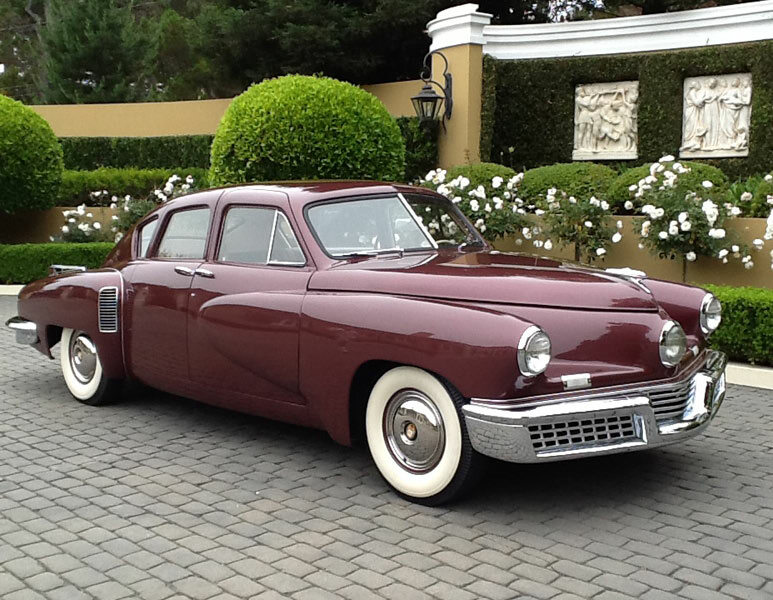 Which Tucker Automobiles will appear at Pebble Beach®? 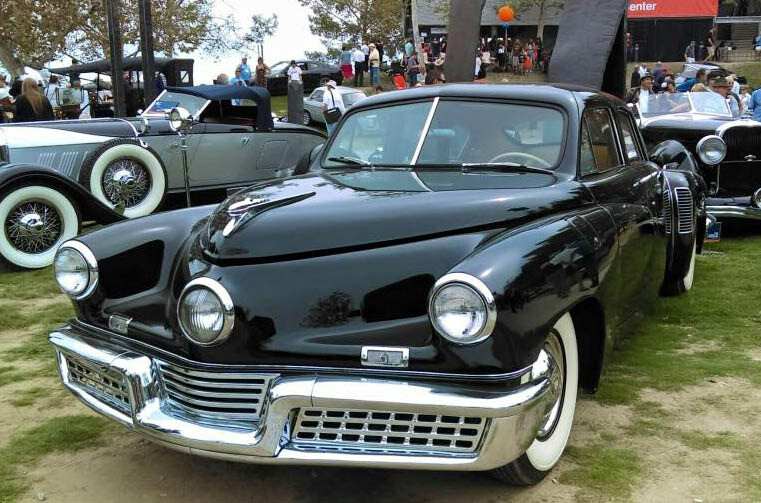 Of the 51 Tuckers produced, 47 still exist today of which, 11 Tucker automobiles will be on view at Pebble Beach®: Tucker #1003, Tucker #1009, Tucker #1014, Tucker #1015, Tucker #1016, Tucker #1017, Tucker #1026, Tucker #1030, Tucker #1031, Tucker #1044, Tucker #1049. Also on view will be the Tin Goose Prototype Tucker and the factory test chassis. Tucker #1003 is owned by the Academy of Art University Automobile Collection located in San Francisco, California. In the late-1980s, this Tucker was purchased by George Lucas, an executive producer of Francis Ford Coppola’s 1988 film “Tucker, The Man and His Dream.” Both Coppola and Lucas acquired genuine Tuckers, of which, Lucas’s Tucker #1003 was sold in June of 2005 to the current owner. Movie producer George Lucas purchased Tucker #1009 in 1987 and continues to own this car. Tucker #1014 is owned by Francis Ford Coppola along with Tucker #1037 (not on view at Pebble Beach®) in Rutherford, California. Tucker #1017 has a connection to the movie too; it was painted a rusty orange color, the color it was in the film, and is part of a private collection owned by the Carpenters since 2006. Tucker #1031 is part of the Breslow Collection and available for view by appointment. Owner Eric Breslow is the Chairman of the Tucker Automobile Club of America Committee and will be onsite at the events throughout the week. Mr. Breslow also owns one of the fiberglass reproduction cars used in the movie “Tucker, The Man and His Dream” which will also be on view at Pebble Beach®. Tucker #1044 is currently in the private collection of Howard Kroplick and has just undergone an extensive restoration process at Ida Automotive in Morganville, New Jersey. It has been restored to its original green color and will be making its first public appearance at Pebble Beach®. 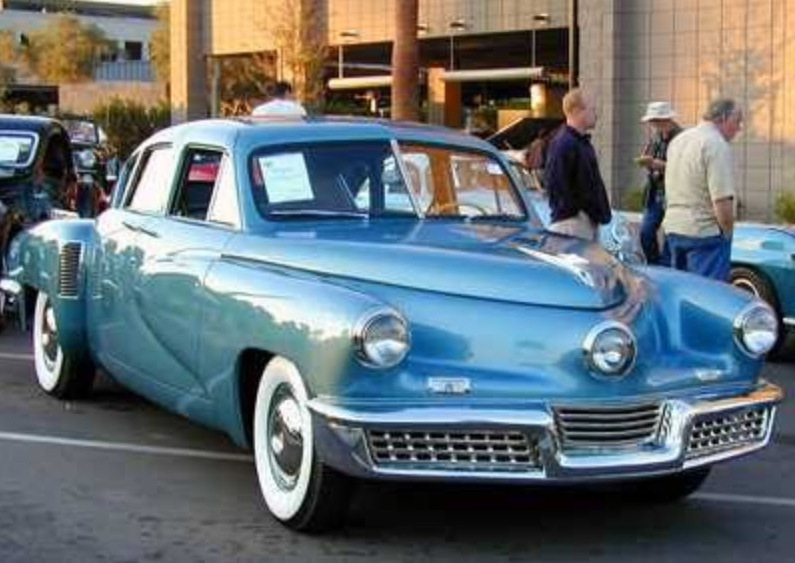 Tucker #1049 is part of a private collection and will be an example of the later production model of the Tucker automobile. 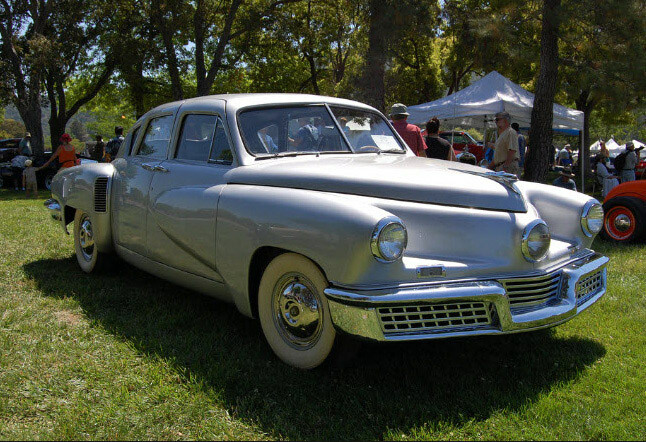 The Tin Goose – The 1947 Tucker Prototype was the first automobile produced by the Tucker Corporation in the spring of 1947 and was a prototype for the Tucker ’48 production cars. The Tin Goose was hand-built and was used for promotional purposes. In October of 2014, the Tin Goose was the fifth automobile added to the Historic Vehicle Association’s National Historic Vehicle Register and the Historic American Engineering Record (HAER) that is permanently archived in the Library of Congress. The Tin Goose is part of the William E. Swigart Collection and generally on view at The William E. Swigart Museum located in Huntingdon, PA.
Tucker #1015 is owned by Stahl’s Automotive Foundation in Chesterfield, Michigan; Tucker #1016 is usually on view at The Henry Ford Museum in Dearborn, Michigan; Tucker #1030 is typically on view at The Peterson Automotive Museum in Los Angeles, California. Tucker #1026, typically on view at the AACA Museum, Inc. is part of the David Cammack Collection and is the only surviving Tucker with automatic transmission. 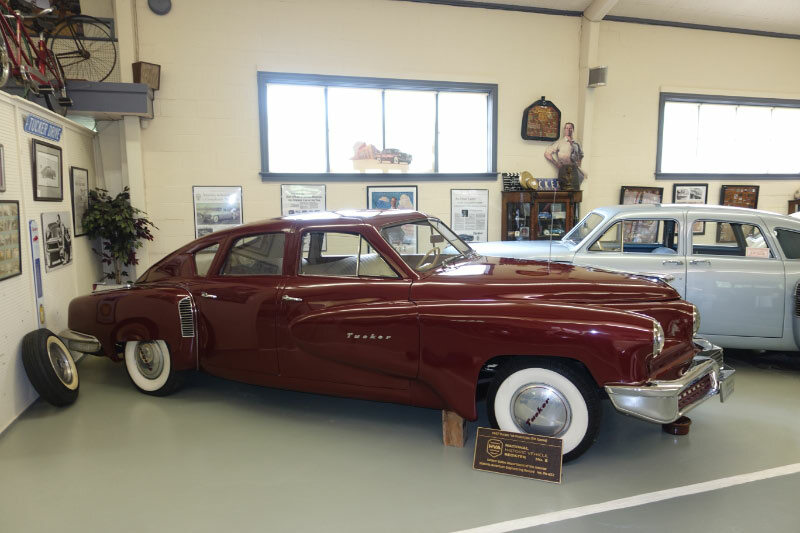 Mr. Cammack was an avid Tucker collector and supporter of the AACA Museum, Inc. and upon his passing in 2013, his extensive collection of three Tucker automobiles along with thousands of archive items to find a permanent home here at the AACA Museum, Inc. The Cammack Tucker exhibit gallery was opened in his honor in October of 2014. 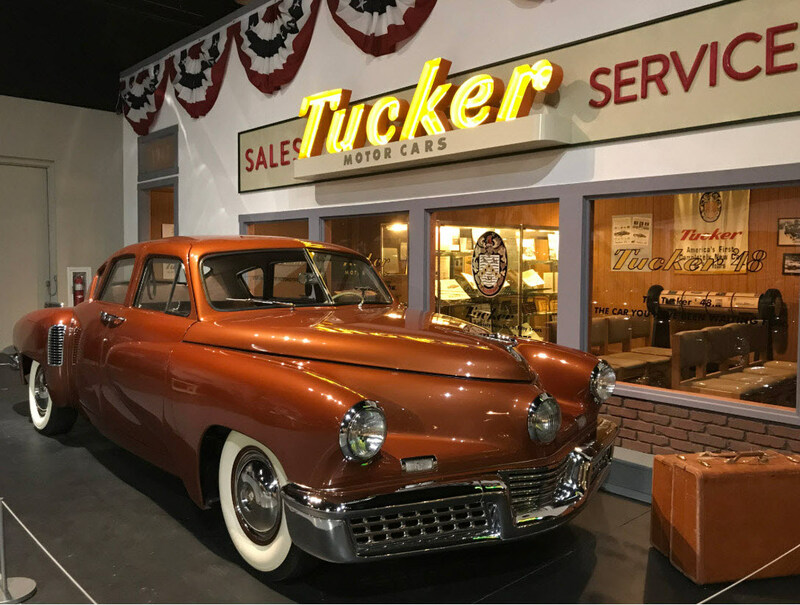 The AACA Museum, Inc., known by many Tucker enthusiasts as the center of the Tucker Universe, displays Tucker experimental engines, mechanicals and other automotive memorabilia in addition to Mr. Cammack’s three Tucker automobiles. Tucker #1001, the first production Tucker is on view along with #1022 Mr. Cammack’s first Tucker and Tucker #1026 the only survivor with automatic transmission. 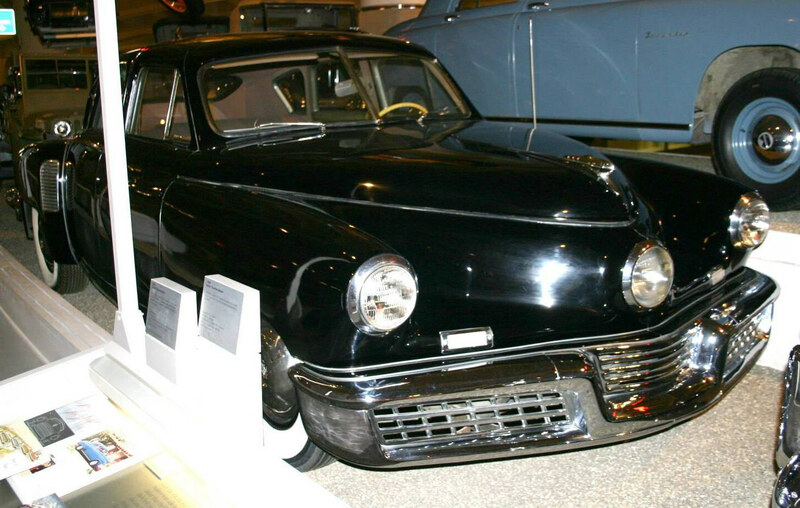 One of the fiberglass reproduction cars used in the movie “Tucker, The Man and His Dream” is also on view from the Tucker Automobile Club of America (TACA) Collection. Tucker #1026 is scheduled to be driven onto the field at Pebble Beach on Sunday by Board Member Mark Lieberman. We believe Mr. Lieberman to be the only living person who has ever driven an automatic Tucker automobile. 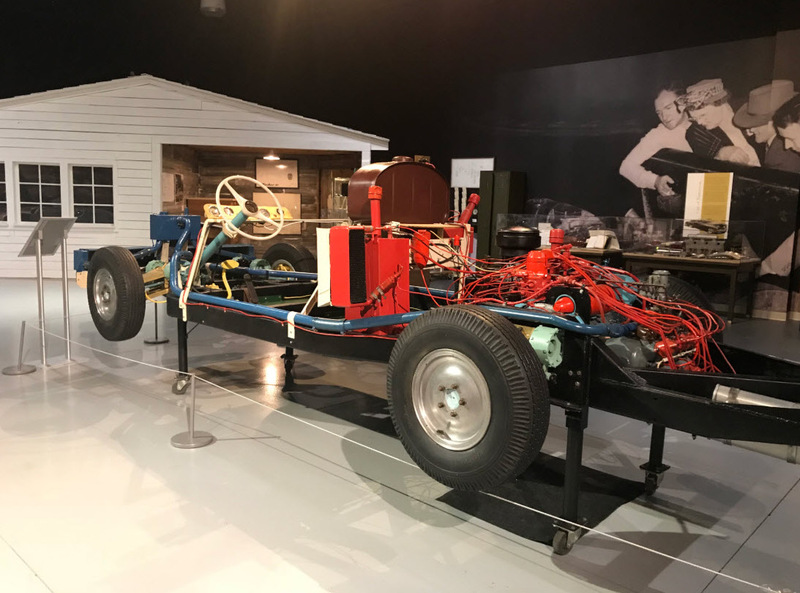 Additionally, the Tucker factory test chassis normally on view at the AACA Museum, Inc. will also be on view. Both the test chassis and Tucker #1026 will return to the exhibit at the AACA Museum following the Pebble Beach® events. Fabulous examples . They’re still out there ! Very exciting for your Tucker to be among this historic grouping! Look forward to more great photos from this event. 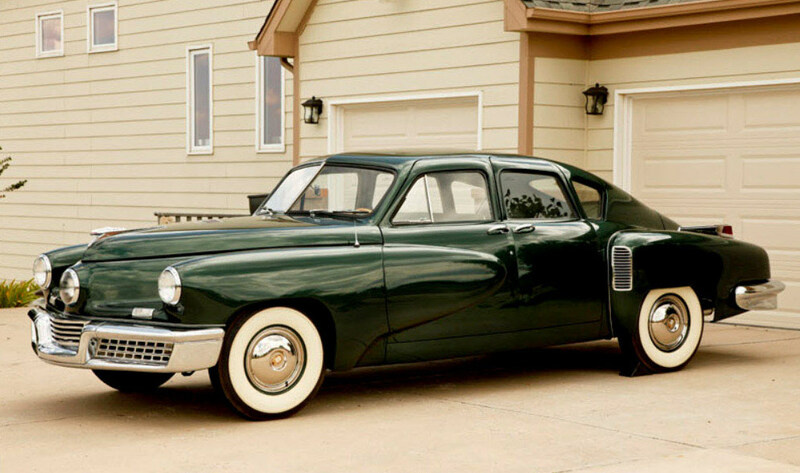 if i am the next winner of powerball i will start a Tucker automobile factory with a updated powertrain and design….dream on…..
As everyone has previously posted, #1044 looks fabulous. I’m certain that next weekend at Pebble Beach will be a most memorable event for you, Roz and all the Tucker Family present. Very much looking forward to hearing your stories and seeing your photos from the Concours! My wife and I were lucky enough to at least see the exhibit during a trip to Western PA from Long Island to go to a wedding. A great museum, but it was hard to walk away from the Tuckers!